Dog facts are fascinating, but they are also fun! Did you know these 50 incredible bits of information? Chances are good you already know that dogs are pretty amazing. But maybe you don’t yet know just how amazing dogs truly are. These interesting facts about dogs will take you on a journey through the common canine’s influence in the lives of “their” people. From medicine to outer space to family life and so much more. You probably have many stories of your own that showcase how wonderful dogs can be. 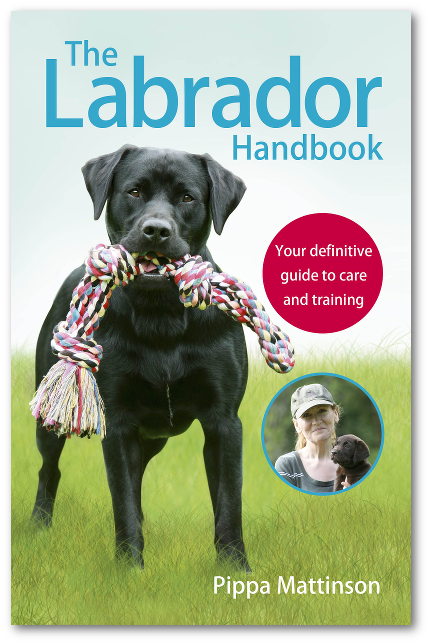 The anecdotal evidence in the field of canine biology and research is often used for guides to help canine researchers figure out what to study next. 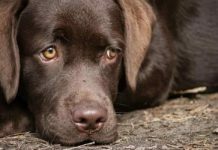 These stories form the basis for the studies being completed to figure out how dogs seem to be able to detect cancer, epileptic seizures, diabetic episodes and other serious conditions before they happen. Over time, as groups of anecdotes are investigated to be better understood, they are no longer stories and instead become dog facts. 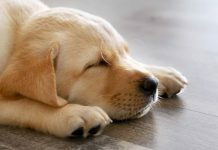 Each of the dog facts you will find in this article was once a story, and there are likely many more dog facts in progress being researched even as you read this article. So without further ado, read on to learn about an invigorating collection of random dog facts from all walks of life that will give you lots of fun dog trivia to ponder and marvel on. Even many dog lovers do not know that dogs have helped people understand more about healing, medicine and treatment. Right down to being able to detect health issues in “their” people (and strangers) before any other person or medical testing device possibly could. Marvel at these cool facts about dogs in medicine. Dogs can detect the presence of cancer, diabetes and even oncoming seizures. Researchers think they do this because they can smell these events while they are still in progress. Both dogs and humans can develop diabetes mellitus, a serious and potentially fatal disease that involves blood sugar imbalances. Dogs have helped researchers development better treatments for diabetes in people—and in dogs. Dogs have contributed to the development of spinal cord injury treatments. Doctors have discovered how to use a patient’s own transplanted cells to regenerate lost function. These studies helped injured dogs (most notably pet dachshunds) as well as human patients. Researchers took cells from the dogs’ noses to help regenerate the spine. Dogs and people can both contract rabies, a dangerous disease that is transmitted through saliva and attacks the central nervous system of the victim. Untreated rabies has a 99.9 percent mortality rate and is considered the deadliest disease on Earth. Rabies-positive dogs helped Louis Pasteur develop a vaccine that is now used to protect dogs against the rabies virus. And used to treat human patients who have been bitten by a rabid mammal. Dogs helped researchers learn how to do successful blood transfusions for people and canines. Physician Richard Lower performed the first successful canine to canine blood transfusion in 1665, keeping one dog alive by using a donor dog’s blood. Dogs have been by our side for millennia and at times have even traveled before their people into outer space, as these amazing dog facts will attest. The earliest space dogs hailed from the Soviet Union and played an integral part in the Cold War space race between the then-USSR and the United States. The first species from planet Earth to travel into space was canis lupus familiaris. A mixed breed dog named Laika made the trip aboard the Sputnik 2, a Russian space satellite. Laika did not survive the trip. Her sacrifice inspired a movement to research dog abuse facts and fight for humane working conditions for future space dogs. In 1960, Russian mutts Belka and Strelka boarded Sputnik 5 and spent a day orbiting the Earth before returning safely home. Pushinka, one of Strelka’s post-trip puppies, was gifted to President John F. Kennedy’s daughter, Caroline. Soviet dogs Veterok and Ugolyk went to space in a Voshkod capsule in 1966 and orbited for a whopping 22 days before returning safely to Earth. Human cosmonauts didn’t beat their record until 1971. The first space dogs were female strays. This was because Soviet researchers felt that female dogs had a better temperament for space travel and that strays were healthier dogs. The first two sets of dogs scheduled to take suborbital flights ran away just before takeoff. Keeping company with dogs comes with all kinds of benefits. Chances are good you already know this, but now we also have hard scientific data to support the good feelings we have when we are with our beloved pets. 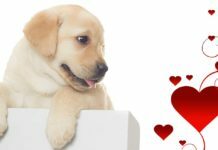 From cuddling with a pet dog at home to taking your dog to school or work, these fun facts about dogs showcase how important a canine bestie can be when you are young as well as all throughout your life. Kids who feel close to their pet dog also feel closer to their parents, siblings and friends. Having their pet dog nearby can help kids feel happier and less stressed in everyday life as well as in high-stress situations such as giving a classroom presentation. Pet dogs will form a very similar bond with “their” people as the bond young children will form with their parents or primary caregivers. 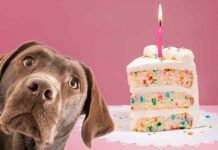 Tests involving food rewards showed that pet dogs are much more motivated to seek treats when their owners are nearby observing than if there is a stranger present or no one at all. Infants who grow up with a pet dog in the house show a reduced risk for a variety of health issues later in life, including allergies and weight gain. It is thought this is because exposure to a pet dog strengthens a child’s developing immune system. Kids who have a dog to play with tend to be more active than kids who don’t have a canine pet. This can have important implications for another serious issue both people and dogs face—obesity. Everywhere you look in human life today, you will see dogs and people sharing life side by side. But this is never more true than in cases where a person relies on their dog for help to do things they can’t do for themselves. Such as seeing and hearing, staying calm and safe, and recovering from serious health issues, both mental and physical. The four most popular placements for trained service dogs are as guide dogs for the blind, mobility assistance dogs, hearing-impaired assistance dogs and psychiatric assistance dogs. Service dogs have proven their value in a wide range of assistance roles. From post-traumatic stress disorder (PTSD), autism, seizures, diabetes mellitus incident detection and emotional support. While not yet designated as “service dogs,” per se (they are called “visitation dogs” currently), research shows undeniable benefits to all workers when employees bring their dogs to work. Including lower workday stress and improved social support. Service dogs can be any age, any gender, any size and any breed. Service dogs have to undergo a year or more of training before they can “graduate” to become a service dog. While they might not have been called K-9s in past decades, dogs have always worked side by side with “their” people since the earliest days of their domestication. From guarding livestock to defending the home, finding lost people or issuing danger warnings, K-9 dogs are always ready to go to work for a good cause. These fascinating police dog facts, military dog facts and sniffer dog facts will get you thinking about how K-9s play important roles in many areas of life today. The very first modern working K-9 dogs were German shepherd dogs. Working K-9 dogs on search and rescue missions or sniffer cases will identify first by scent, then by voice and then by silhouette (sight). Even after spending an estimated $19 billion in bomb and explosive detection technology, humans still have not found anything better at detecting explosives than the canine nose. At least 2,500 working K-9s are enlisted in military service today. About one-third of these dogs may be assigned to overseas posts at any given time. These dog facts about your precious pup’s nose are tailor-made to wow and amaze friends, family and total strangers. Dogs can sniff out subtle odors even if they are diffused into the parts per million. One researcher likened this to if you were able to sniff out a single rotten apple sitting in one of 2 million barrels of perfectly good apples. People have about 6 million scent detectors in our noses. Dogs have about 300 million. A whopping 40 percent of the dog’s brain is devoted just to decoding scents, partly because dogs smell in layers. This means that a dog can sniff out different scents within a scent. For example, this is how a dog can detect a stash of drugs even when it is buried inside a very strong-smelling canister of gasoline. Dogs also have an extra scent-detecting organ called the Jacobson’s organ (vomeronasal organ). 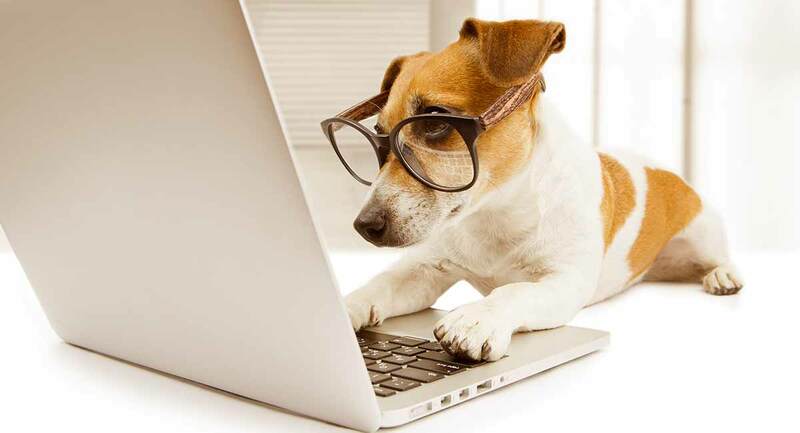 Learning dog facts about vision can be as much about unlearning dog vision myths as it is about getting the correct facts about your pooch’s eyesight. Some dog breeds, particularly those in the “sighthound” category, can see quite a bit better than other dog breeds. Dogs see better than their people do when it gets dark outside. A structure in canine eyes called the “tapetum”—a structure human eyes do not have—is what causes dog eyes to glow in the dark. The reason dogs don’t see colors as vividly or diversely as people is because they have just two color-sensing rods in their eyes (people have three rods). These intriguing dog facts about hearing reveal not just what dogs can hear but how they hear and how they understand what they hear. Different dog breeds can have different ranges of hearing. Typical hearing range is from 67hz to 45,000hz for canines (humans hear from 64hz to 23,000hz), but not all dogs can hear in the full register. The reason dogs hear differently than humans hear is because of the way the canine ear is shaped. Plus, dogs can actually move their ears to capture sounds better. However, dogs with erect ear shapes will often hear better than dogs that have droopy ears. The average dog can hear about 30 to 50 decibels higher than what a person can hear. This is thought to be due to the modern dog’s ancestors, who needed to hear very high-pitched sounds made by the small prey animals they hunted. Like people, dogs tend to lose range in their hearing as they age. Some dogs that are deaf can still hear the sound a silent (ultrasonic) dog whistle makes because their deafness affects only the part of their hearing range that humans also can hear in. Longest ears? The longest body? Longest tongue? Humans aren’t the only ones who can make—and break—world records, as these Guinness Book of World Records canine facts can attest. Tigger, an Illinois bloodhound, has held on to his Guinness Book of World Records title for “longest ears” even post-mortem (Tigger passed away in 2009). His ears have held the record since 2004. Measuring 13.75 inches, his right ear is the official title holder (his left ear measured 13.5 inches). Not to be outdone, Mochi Rickert, a rescued St. Bernard dog, has a tongue that measures 7.3 inches from snout to tip. Mochi’s proud owner even made a video to show off this pup’s record-breaking tongue. Bluey, an Australian cattle dog who lived in Victoria, Australia, is the oldest recorded dog. Bluey lived for a record-breaking 29 years and 5 days, and spent his life working cattle on his owner Les Hall’s ranch. The average canine life span is eight to 15 years, with only small breed dogs typically living into the range of Bluey’s life span. Zeus, a Great Dane dog living in Michigan, is the world’s tallest dog. When he stands up straight, he measures 7 feet, 4 inches—about the same height as an adult donkey. Zeus’ owners say he weighs 155 pounds and eats about 30 pounds of dog food every single day. Check out Zeus in this GB video. Keon, an Irish wolfhound dog living in Westerloo, Belgium, has been officially recorded as having the world’s longest tail. Keon’s vet measured his tail with precision and reported that it is a whopping 30.2 inches (76.8 cm) long. Interestingly, the previous record holder was also an Irish wolfhound. 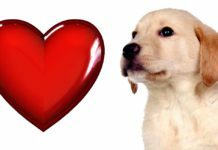 These trivia dog facts range from super cute dog facts to downright weird facts about dogs. Enjoy. Dogs do not sweat through their skin like people sweat. Rather, a dog cools down by panting. This is why a dog that is too hot will lose as much as 40 percent of scent-detection abilities until the dog cools down again. Additionally, there are some sweat glands located in a dog’s paws. Humans have unique fingerprints that no other person will ever have. For dogs, however, it is their noseprint that is utterly unique. Dogs, like people, can be born with special skills. Often these special skills are breed-specific. For example, the fastest dog in the world is the greyhound, which can run up to 45 miles an hour at top speed. There are more than 150 different breeds of purebred dogs, and those are just the ones we know about. 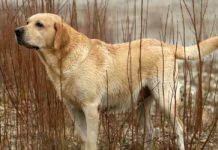 There could well be more purebred dog breeds that have not yet been discovered and be registered through any of the purebred dog breed registries. A dog’s whiskers are actually called vibrissae. These fine hairs can sense even the tiniest changes in airflow to help the dog navigate. How many of those fun dog facts did you already know? Kerns, K.A., et al., 2017, “Preadolescents’ Relationships with Pet Dogs: Relationship Continuity and Associations with Adjustment,” Applied Developmental Science. Miller, P.E. and Murphy, C.J., 1995, “Vision in Dogs,” Leading Edge of Medicine.